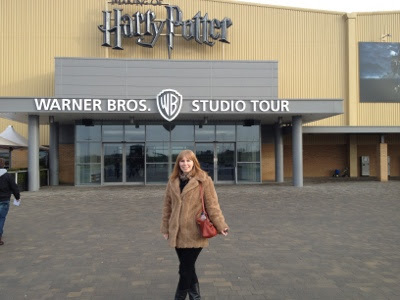 Earlier this week I paid a visit to the Harry Potter studio tour just outside London with my friend Marcella . 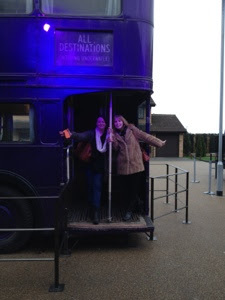 As both of us are quite big Harry Potter fans, we'd been looking forward to this trip for quite some time and we like kids at Christmas on the train ride to Watford. 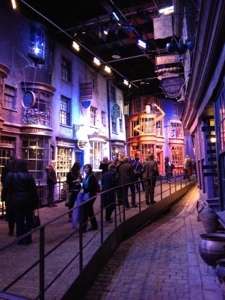 There are no 'rides', instead the studio tour features huge amounts of props, sets, costumes and special effects from all of the 8 Harry Potter films. 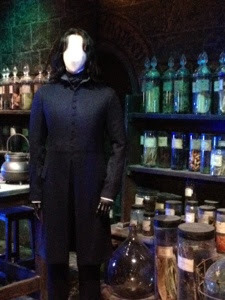 The potions classroom with one of Alan Rickman's costumes. 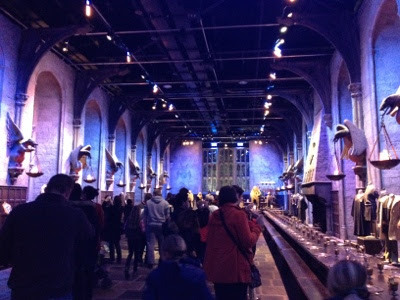 You get to see sets such as the potions classroom, the Great Hall (including the real stone floor that they used), Diagon Alley, Hagrid's Hut, and many more. I really enjoyed the costume and makeup section that they had. 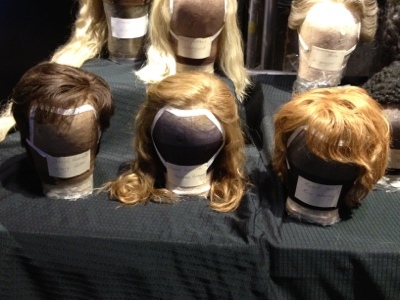 Apparently a lot of the wigs were all handmade, with each hair threaded in by hand. Can you imagine how long that must have taken?! 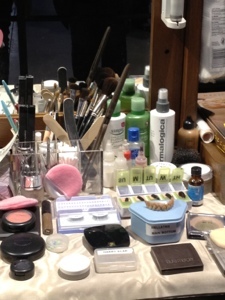 There was also a makeup artist's station mocked up showing some of the products they had used on set - hello MAC, Laura Mercier, Dermalogica and even Simple! 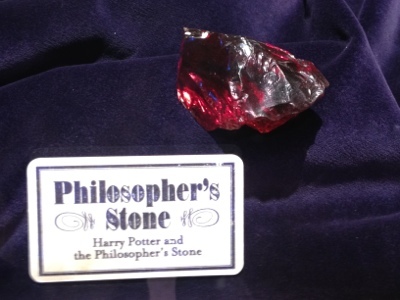 I think this trip is a must for any Harry Potter fan. 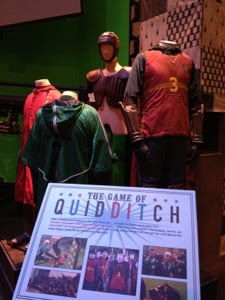 I'm so pleased that I went and it was really interesting to find out how they made certain aspects of the films. 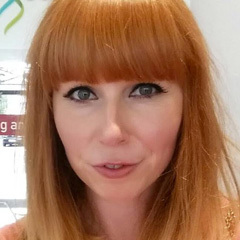 It might ruin some of the magic if you have kids though, so beware! 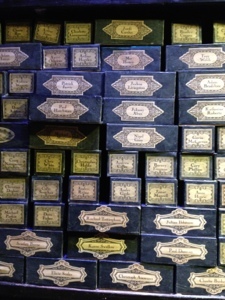 The gift shop (as with all these sorts of places) is expensive. 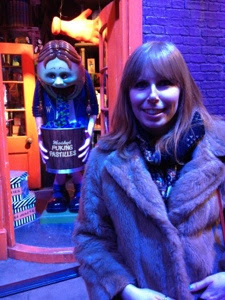 I bought a chocolate frog and a keyring and it came to just over *cough* £15 *cough*. Still, I won't be going again in a hurry, so thought I'd better make the most of it! Some of the amazing anamatronics/creature parts they developed. 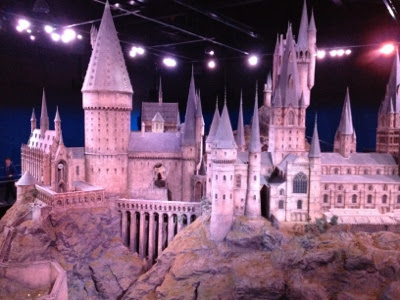 The most amazing model of Hogwarts. I am so jealous. Dying to go here. Hopefully soon. How much was the Butter Beer? 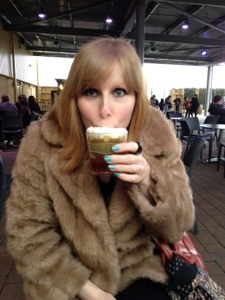 You should definitely go :) The Butterbeer was £3 for a glass - one is more than enough! I. Must. Go. 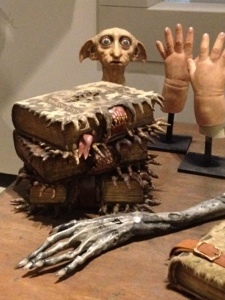 I love Harry Potter, I pre-ordered the books and finished them on the same day, I literally would not put them down. This looks like so much fun!